ARLINGTON, VA – May 25, 2016 – Hobsons, the leading college and career readiness, admissions and enrollment, and student success company, today announced a new partnership with Pike County School District in Zebulon, Georgia, to provide counselors, students, and families with technology to support the college exploration, planning, and application process. Research has found that measures of “college match” — including academic fit, affordability, size, and culture — have a significant impact on a student’s success in college and beyond. Today, expanded Broadband access and improved technologies are making it easier for counselors to help students find the right match. Beginning in Fall 2016, the Pike County School District will be the first public school district in the state to use the Naviance by Hobsons platform district-wide. The district will use Naviance to help its middle and high school students explore their interests and strengths, discover the connection between academics and career paths, uncover new college and scholarship opportunities, and create plans to achieve their goals. Georgia is nationally recognized for its pioneering College and Career Ready Performance Index, which sets standards to ensure that students across the state graduate ready for success in college or a career. Naviance will help Pike County to track student readiness across the district to inform a district-wide strategy. 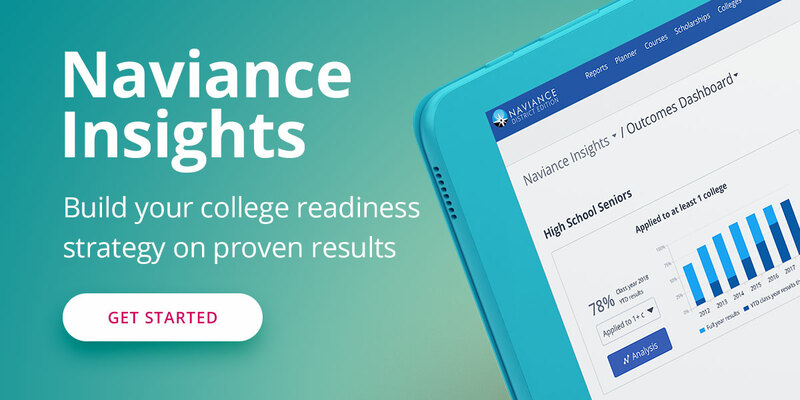 Naviance is used by nearly 9,000 schools and districts in the United States, and enables school counselors, educators, and parents to work together to help students prepare for postsecondary education.